Off the main tourist backpacking route of Southeast Asia are a set of temples on the island of Java, Indonesia, near Yogyakarta that are worth a visit. Though Borobudur and Prambanan are two separate temples and even dedicated to different religions, I'll group them together because of their close proximity. Borobudur is an ancient Buddhist temple that is possibly the single most staggering ancient structure I’ve ever seen in Southeast Asia. The temple consists of multiple layers stacked onto each other and covered in Buddhist reliefs carved deep into the stone. 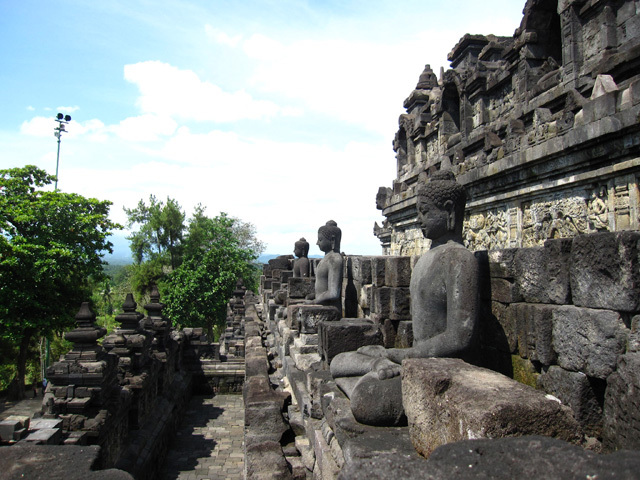 Devout Buddhists are supposed to circumference each layer of Borobudur, symbolically following the path to enlightenment. Nearly on equal terms of impressiveness is the Hindu complex of Prambanan. Though the temple was not in that great of condition when I visited (they were doing maintenance), the jagged stones and architecture blew me away. It really looked like steeples reaching to the heavens. The temple complex of Angkor Wat is by far Cambodia’s and Southeast Asia’s biggest historical claim to fame – and for right reason. Every temple in the area is a true historical masterpiece of design and construction genius. Though some of the temples are now in crumbles and have succumed to the natural, jungle environment, the ideas and craftsmanship behind each temple is purely marvelous. I couldn’t help constantly wandering how life at Angkor Wat was during its ruling period. The most impressive thing is that there’s not just a single temple, but many temples scattered throughout the region that make up Angkor Wat. Bagan is the only site on this list I haven’t had the privilege of visiting. From what I have heard, it may be the most impressive of them all, topping Angkor Wat because of its lack of development and the absense of hordes of tourists. Like most of the sites on this list, Bagan is a series of ancient temples and structures scattered throughout a vast area. Many of the temples are well preserved and are beautiful with their red and gold stupas and symbolic designs. The sunrise views of the morning sunshine and the hazy fog across the plains of Bagan are a sight that must be witnessed. 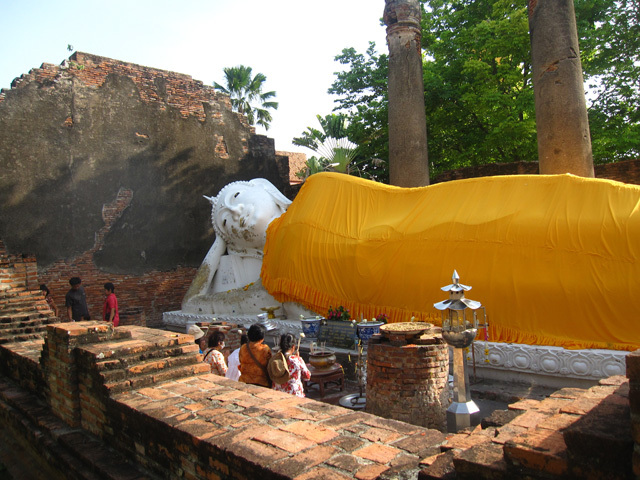 The Kingdom of Ayuthaya was once the ancient capital of Thailand and was previously considered one of the most powerful cities in all of Southeast Asia. The ruins of the ancient city are a series of Buddhist and Hindu inspired temples as well as various other religious shrines. Ayuthaya Historical Park is a UNESCO World Heritage site dedicated to the preservation of this magical historical area of Thailand. The flood in Thailand in 2011 was a huge blow to Thailand's magnificent ancient capital. Many of the national treasures were underwater but hopefully things will be restored and renovated. Despite the recent troubles, it's still easy to find cheap flights to Thailand. After visiting the 4000 Islands in Laos, I decided to head over to Champasak to check out Wat Phou – a lesser known ancient temple located near the sleepy town of Champasak. Arriving to the temple in the early morning by bicycle was a breath of fresh air – a quiet peaceful temple that was perfect for a relaxing hike and an opportunity to view the magnificent outdoor scenery. When you travel in Southeast Asia, you'll realize that there are countless temples and ancient structures to see. The historical sites of Asia not only provide insights into the culture but a glimpse at mind blowing ancient architecture and gorgeous natural scenery! No problem Riz! Glad you enjoyed it and hope you get to go to these spots too! 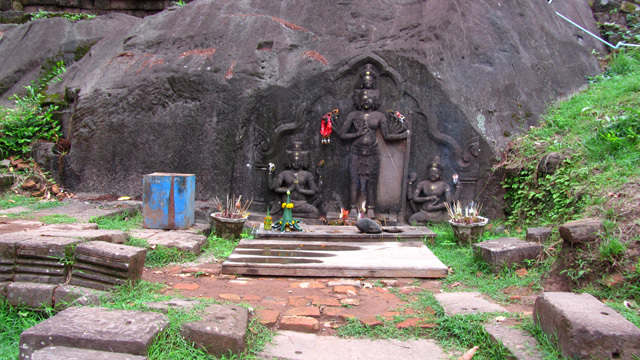 Wat Phou is a good one. I had a great experience in the nearby village of Champasak and cycling to the nearby ruins. Definitely one of my favorite places in Laos. Hi Micheline, sorry about that, the blog was experiencing some technical problems due to spam. Everything is working fine now. 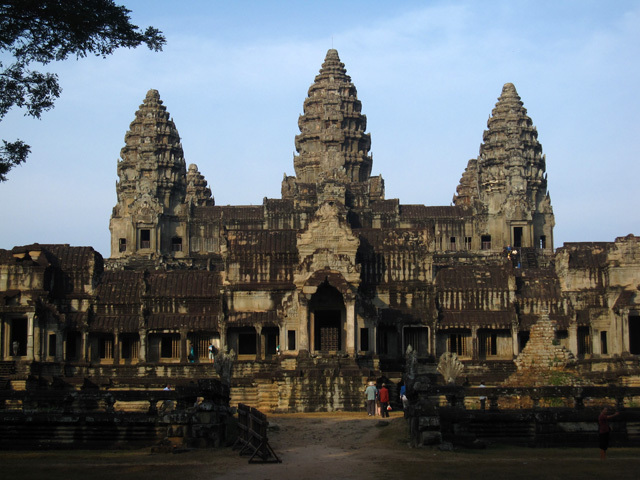 I totally agree on Angkor Wat! A city carved out of stone is really hard to believe until you see it in person. Ayuthaya is nice because you can walk around the ruins without any guides or ropes blocking you from seeing anything.